No HOA or CDD for this beautiful home on 1/4 acre. You'll appreciate the large yard with a fully fenced backyard and a double gate access for RV and boat parking. The property also includes two sheds to use for extra storage or as a workshop. 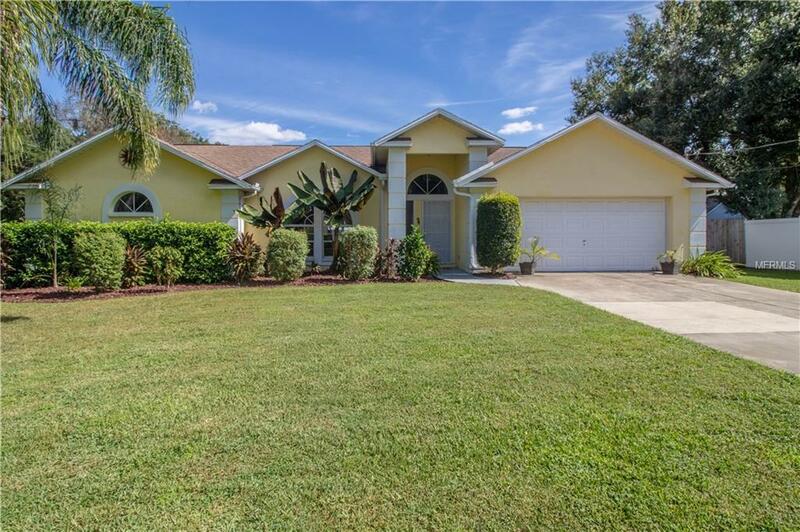 This immaculate pool home has 3 Beds, 2 Baths plus a large Florida room that leads to the screened pool area with pavers. The eat-in kitchen has granite, stainless appliances, coffee bar with extra storage and a breakfast bar. All this overlooks the Dining and Great Room area with high ceilings and sliders to the outdoors. Step into the Master Bedroom that is large enough for a sitting area and includes a custom, California walk-in closet. The Master Bathroom has tasteful finishes with dual sinks, soaking tub, walk-in shower, and large linen closet. You'll enjoy the spaciousness and privacy of the property while still taking advantage of an easier commute with nearby access to I-75 and I-4. We look forward to giving you a personal tour of this home and thank you in advance for taking the time to see it in person.